Calls can only be parked to One Talk phone numbers or extensions in your group. You cannot use programmed Speed Dials on the desk phone to enter an extension or phone number when attempting to park a call. 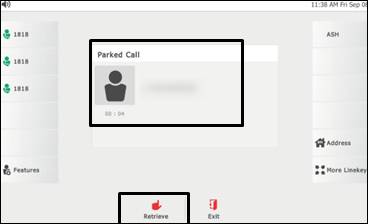 Notification is cancelled if user makes outbound call, receives an incoming call or 45 seconds passes and the call rings back to where it was parked from originally. Line 2 is used when parking a call. 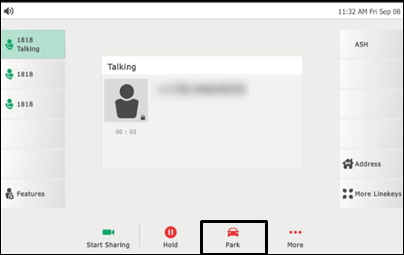 While on an active call, press the Park soft key. 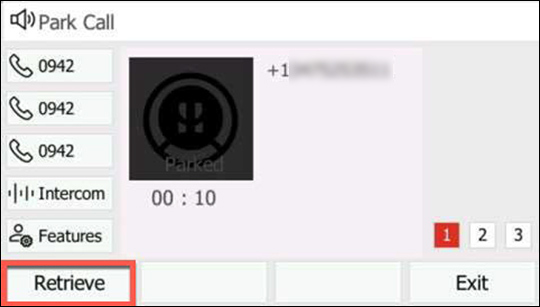 User hears a message stating "Please dial the number where you want to park your call followed by # or dial # to park the call against your number." Enter the appropriate 10-digit number or the extension number followed by #. Press # to park against your own extension. 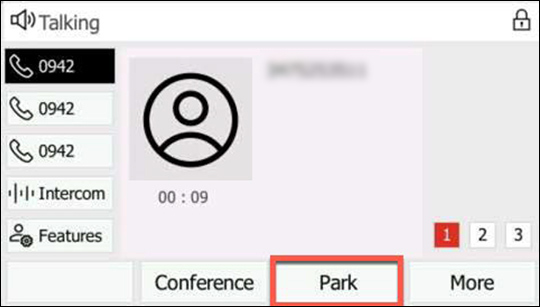 To retrieve a parked call, press the Retrieve soft key. 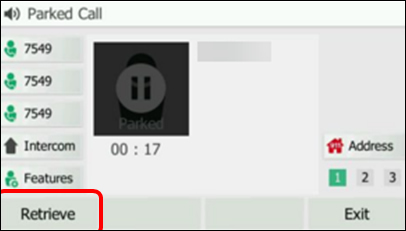 User receives audio and visual notification of the parked call. Call can be retrieved by dialing FAC **88 + extension. 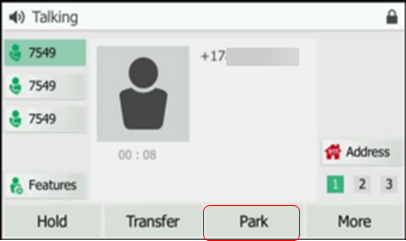 While on an active call, press More then press the Park soft key.